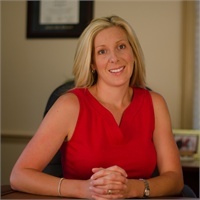 Karrie graduated from Florida State University in 2001 with a Bachelor of Science in Finance. She joined her father’s business in 2003 and currently works with clients as an Investment Adviser Representative. Karrie holds the Series 6, 7, 63, 66, and Florida Life, Health and Variable Annuity Licenses. Having graduated from the College for Financial Planning in 2007, Karrie is now working towards the CFP® designation. She and her husband, Rich, have a daughter, Leena, and two sons Liam and Luke. Karrie enjoys running with her two dogs, traveling, and staying active in the community.